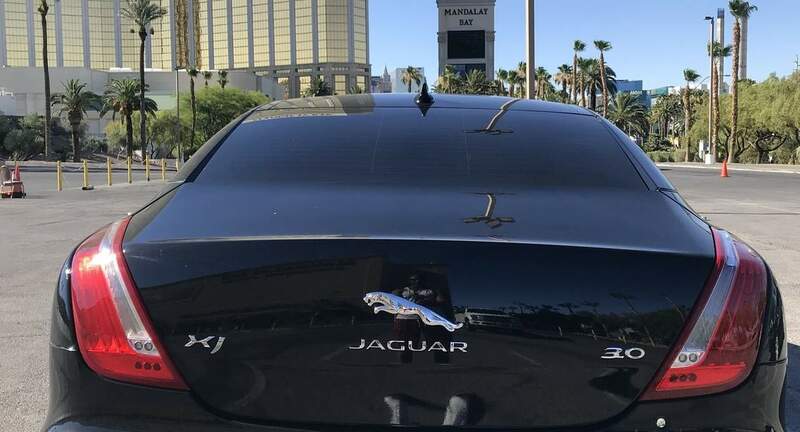 I&apos;m very excited to rent my 2014 Black on Black Jaguar XJ to the Turo community, This car is in perfect condition and has only 32,000 driven miles. With options like message heated and cooled front and back seats, Harman high quality audio with easy connection to phone via Bluetooth, rearview camera and integrated navigation, the car attracts and turns head in addition to driving like a charm. Black on Black with smoked tinted windows, 20’ premier alloy wheels and panoramic sunroof. The perfect luxury vehicle for cruising around Sin City. Please note: - Please do not smoke in or around the car. A cleaning fee of $250 will be charged if any signs of smoking detected in the car. - Must be over 21 to rent this car. - Car takes 91/93 octane gas. Upon returning the car, please present your gas receipt to prove premium gas was used. Be the first to book Urban’s car.